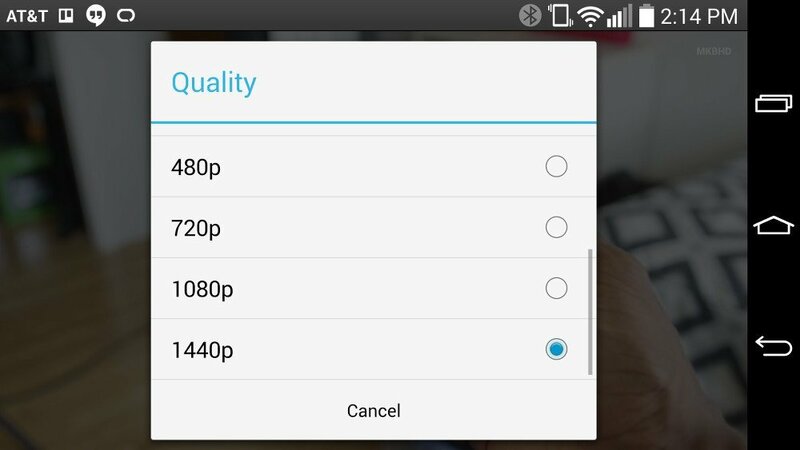 Starting only recently, the YouTube app on Android started allowing users to select the resolution of the playback on their Android phone or tablet. The maximum resolution of the playback depends on the device, although the behavior has been somewhat erratic. Until now, the app only supported playback up to 1080p even the actual screen resolution was higher. However, as discovered by Droid-life, the app is now supporting 1440p playback on devices with screens that can support that kind of resolution (LG G3 for instance). Of course, the video will have to support that resolution as well. To change the video resolution, simply tap while the video is playing to bring up the options menu and therein select the resolution that you want. Users with displays that have higher than 1440p resolution should see the option available.